We’re not quite done with the festive season over here at Ruby & the Swallow. So much so that I haven’t even taken my Christmas tree down. I just can’t bare it - its so cute, small and handmade! This year I decided I wanted a white Christmas. We don’t get those in South Africa and so they have to be invented in the comfort of our own homes. Enter my Christmas tree. 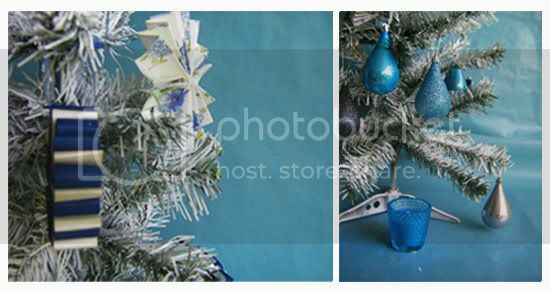 I bought a miniature tree - just because it’s cute, can be be placed on a table and spruced up in my own way. The first thing I did was to trim down the branches. I was in such a frenzy with the scissors that I didn’t document this part - but it was really simple. Grab a pair of basic kitchen scissors and chop away at any offending branches. The goal here is to make the tree simpler and look more sparse, you know, in line with winter and all. Next, I spray painted it white. I had no particular method other than to lay the tree on some newspapers, stand over it (remember it is a mini tree) and spray away as much of the green as possible. I used an entire can and didn’t get complete coverage, but this didn’t bother me too much...it looks like it’s been heavily snowed on. I also decided to make a select few ornaments. 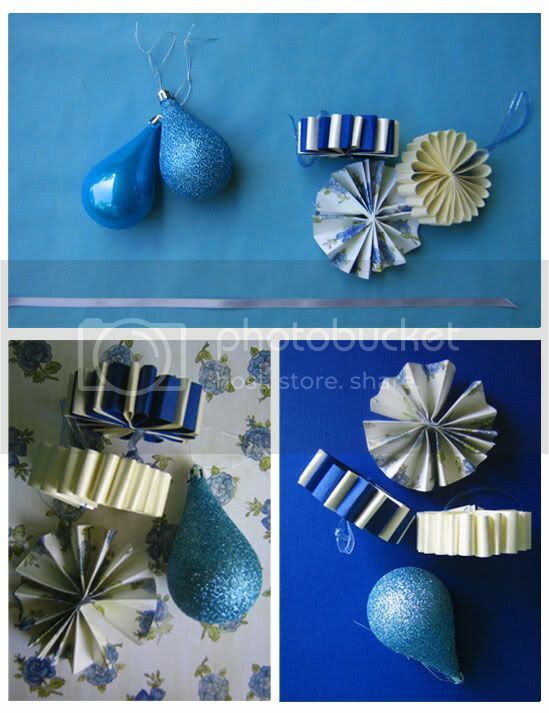 I found this great tutorial to make some of the ornamets and followed this picture for the others. 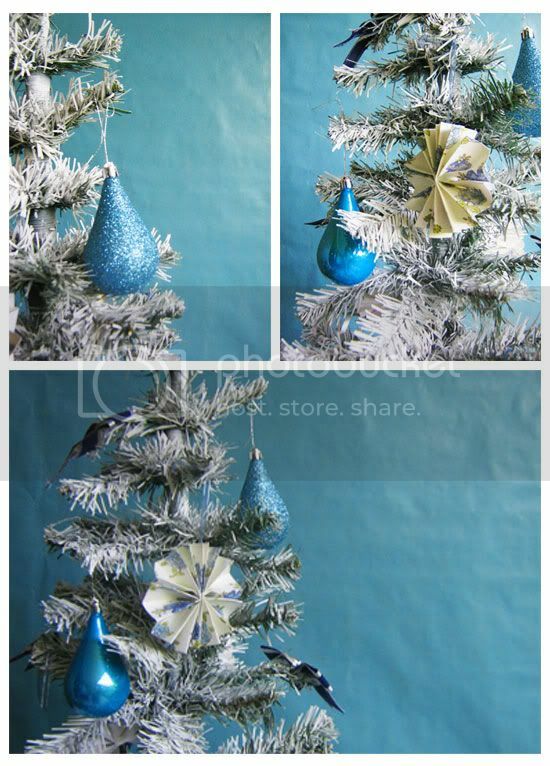 The teardropped ornaments were bought from Woolworths and the bows from a party shop in my area. Don’t kid yourself, these ornaments do take a while to make. It’s best to precut all your materials, sit on the couch and watch some TV while making them. One bit of advice: don’t try and be fancy and use card to make these. They are designed to work with paper - card bends funny and looks weird. The great things about these ornaments are that they don’t scream Christmas and can be used all year around. So next time you’re planning a birthday party or a special baby shower, think about making these. I think they could look really great on a larger scale as hanging decorations. For more Christmas and party inspiration, check out our Pinterest boards. They're packed with great ideas that we've collected from all over the web. How did you decorate your place this Christmas? Drop us a comment - we'd love to know!